Fall is upon us and with it, an exciting new season of produce! Apples, sprouts, squashes and pumpkins are some of the more common items showing up on the produce shelves in the farmer’s markets these days. I have found that these more hearty vegetables tend to pair well with the warm flavors of rosemary, red wine and balsamic vinegar. 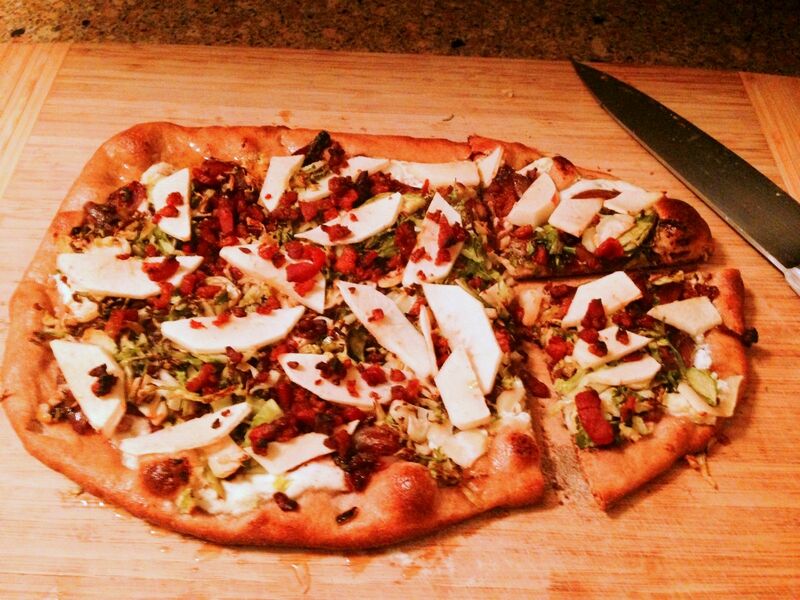 Try this pizza recipe out and see how much fun fall grilling can be! Happy grilling! 1. Prepare your grill for direct heat and preheat your grill with GBS cast iron griddle on the grill for 10-15 minutes. You will want your grill set to medium heat (about 400 F). 2. Take the dough out of the fridge 30-40 minutes before rolling it out to ¼” thick. 3. Mix ricotta cheese in a food processor with honey, salt and lemon zest and nutmeg until smooth. Set aside in a small bowl. 4. Set the skillet of the Gourmet BBQ System in the center of the grill and sauté the onions with the olive oil until browned. Once the onions take on color, add the chopped garlic and rosemary. Sauté a minute more to toast the garlic. 5. Set the grill up for high heat, direct grilling (about 550F). Set the Gourmet BBQ System pizza stone in the center of the grill and char the Brussels sprouts until toasted with some nice color (no oil!). This should take about 5 minutes. Remove and set aside to cool. 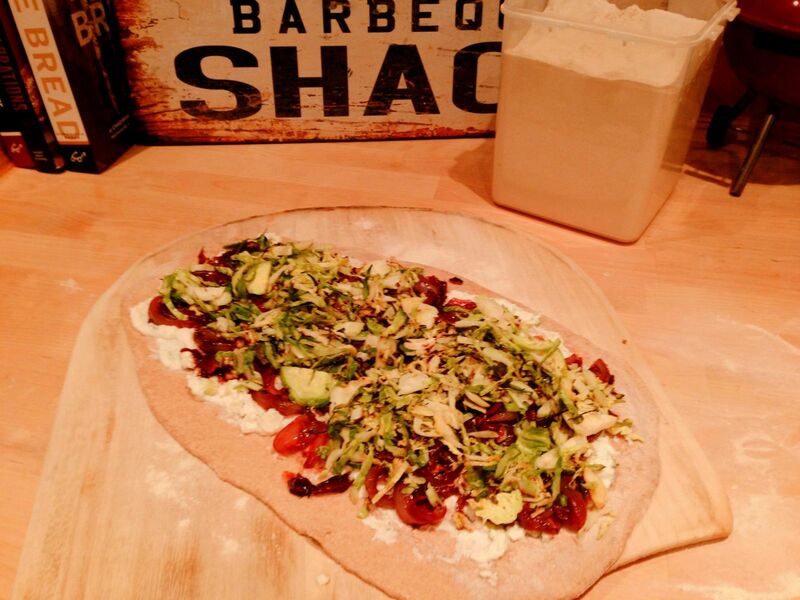 Brush any remaining bits of charred Brussels sprouts off the pizza stone. 6. Spread the honey ricotta spread evenly over the pizza, then top with the red wine onions and brussels sprouts in an even layer. 7. Peel and slice the gala apple thinly, then spread out on top of the sprouts. Sprinkle some cooked, chopped bacon, if you have some lying around (I always do – for emergencies!). 8. Put a little bit of cornmeal on the preheated stone and then slide your pizza onto the stone. Close the lid and set a timer for about 10 minutes or until pizza is crisp and browned. 9. For some added flavor, sprinkle with a little balsamic vinegar after it comes off the grill. Enjoy! Bet you can’t eat just one slice!